In 1765, colonists living in America and Canada were expected to pay into the treasury of the British monarch, sparking the famous no-taxation-without-representation rallying cry and, ultimately, the American Revolution. 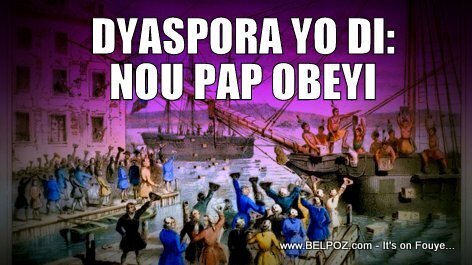 Now 250-odd years later, Haitians from Miami to Montreal are embroiled in their own tax revolt. The Haitian government is seeking to levy a universal tax on all its citizens, on and off the island. Hell of a way to start an article... I looooooove it!! !